If this is the the actual design, it looks great. Why do the Sony Midrange phones look better than the premium models? Because they never learn from their mistakes and truly address consumers desires. That is some of the reasons why they sell like they sell and their mobile recognition and popularity is close to none. Sony mobile dig their own grave. Cameras bumps imo are a far far worse blight than notches. OEM need to get away from doing this for sake of being slim, when all other proportions are going off deep end. most people get a case anyway which eliminates the problem. and i doubt that nowadays most oem's made the bump solely for the reason that they wanted to slim the device down. its just a design choice, just to spice it up and not make an yet another rectangular brick ™, that's all. I hear you but I like my bricks though, they sit nicely when not using a case. Looking good! But why can't their flagships have the jack while the midrangers have it? not having a 3.5mm jack is a high-end feature as dictated by Apple. Looks nice, way to go Sony. Slim bezels, no notch. Note 9 is that you? It looks better than your sh**y note 9!!! It is way too big Sony! (if the dimensions are indeed true). Looks like they're using a power button on top of the FPS and volume buttons below. No dedicated camera button in sight, that's a bummer. Dang that MFer Trump! Just got my WEA test alert now as I was typing. 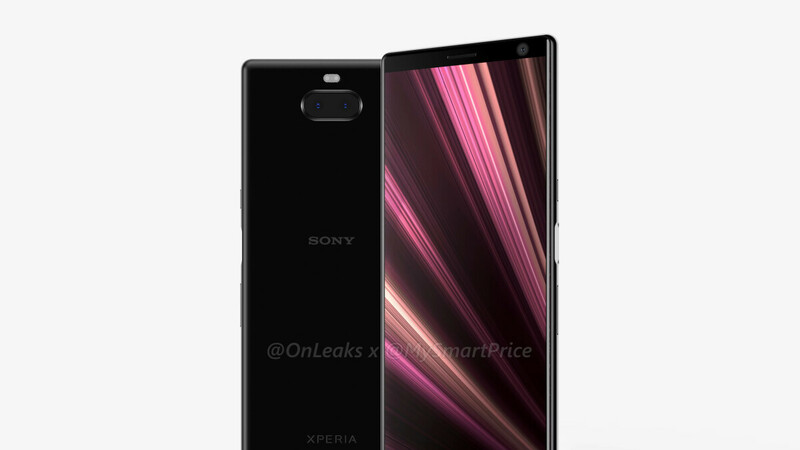 This design is definitely much better that XZ2/XZ3. Plus phone has a 3.5 mm jack, side mounted fingerprint reader and represents Sony Style. The only thing Sony needs to do now is to price it right and release as soon as possible. "decently compact". How is it possible that everyone is coming up with Ultra Plus and Max variants but no one makes minis compacts and so on. General public is actively seeking smaller phones and OEMs don't listen. Keep your line of tablets-phone-wanna-be but gives us some one handed options !!! Not to be critical, but Sony's design language now looks a lot like Samsung's. Don't know why they went with this; personally liked the more edgier look with their past phones. This phone with those dimensions can never have 6.7 inches display, it can hardly be 6.2, do some common calculations folks. Same goes for the regular xa3 which can maximum have a 5.7 inches display, unless it has different aspect ratios, but still impossible for the xa3 ultra.